Mobile payments have been the future of payments for a long time. For longer, in fact, than there have even been smartphones — PayPal got its start as a scheme to enable payments between PalmPilots (granted, it was a pretty short-lived scheme). But the mobile ordering future has been a talking point for so long that over the last five years or so it has sort of started to feel a bit like a horizon — always out front, always coming but never actually arriving. 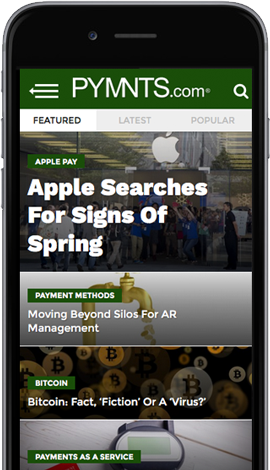 “I think to look at where we are now, everyone still kind of agrees mobile payments are going to happen, though it is also pretty obvious that it will take a lot longer than the most excited folks thought it might a few years ago when Apple Pay, Android Pay and Samsung Pay all hit the market back-to-back-to-back,” LevelUp CEO and Founder Seth Priebatsch told Karen Webster in a recent conversation about the future of mobile payments. Which is where mobile order ahead and the magic of line skipping come into play. That won’t be the experience everywhere in retail, Priebatsch noted, but it is clear that the mobile evolution in QSR, at least, is on. According to Priebatsch, just looking at the data now makes it pretty clear that mobile order-ahead is likely to just keep growing market share over the next five years — and likely become how consumers become accustomed to paying for some things, particularly food. Priebatsch gave the example of a customer who always orders a salad could have a paired soup recommendation, or the customer buying a burger could be offered a coke and fries. And those kinds of suggestions work, he said, increasing ticket sizes between 7 and 14 percent—mostly due to successful upsell. But traditional retail, Priebatsch noted, is a very different story, even for someone like him who does as much transacting digitally as he possibly can. But, when it is time to buy new hiking equipment, where product inspection is important, well, that’s another story. That doesn’t mean the experiences won’t change — and that digital discovery won’t play a big part in physical retail — but that there are some experiences that are more likely to be modified than wholesale rewritten. And even in areas where big rewrites are coming — like in food service, where he believes order-ahead is very likely to displace pay at the counter over the next five years — change doesn’t necessarily need to come like a wrecking ball and will likely phase in more subtly. As Priebatsch and Webster were chatting — around lunchtime — he noted that as the conversation was unfolding “a whole bunch of LevelUp users” were getting a push reminder that their favorite burrito was available for order at Boloco, and that many of those users were likely to jump at the chance to order that lunch burrito. “The goal is to be clever, not creepy,” he said. And that, broadly speaking, is the goal and the future of mobile payments and order-ahead going forward: finding ways to forge better consumer relationships using all that data can offer so that the consumer is given an enhanced experience, and not one where they feel like they are being stalked. Some things will become table stakes. In five years when everyone is offering mobile order-ahead as a service, it won’t be much more a differentiator than having a functioning credit card machine is today. But there will also be chances for differentiation. Chatbots today, he noted, aren’t all that impressive, because they are essentially transliterating forms and spewing them back at consumers. And, at the end of the day, being useful and accessible is going to be much of what the second act in the story of mobile payments and the future of mobile commerce will look like — not at all what anyone was expecting even a few years ago, but worth the watch. As will be the conversation about it all at IP 2017. Won’t you come and join us?